Just because she is the sibling of an iconic Australian songstress, doesn’t mean Laura Imbruglia has had any help on her way to the top. Her new album Scared of You boasts a career peaking ten song project that spans a diverse and expressive plethora of emotions. Her sound is Australian to its core but also dabbles in a variety of genres from classic rock to indie rock and even country. Her first release since her 2013 album What A Treat, Imbruglia has re-emerged into the music scene better than ever. Don’t let the album artwork of a woman shyly veiled on a bed fool you, this album is nothing but shy. From politically charged anthems to cathartic love stories, Scared of You dives fully into a variety of emotions and themes. Set to a refined but ever-changing array of guitar and melodic stylings that constantly keep you guessing there is not a single boring moment. Standout songs for me are the albums upbeat single ‘Carry You Around’ and the refreshingly honest ‘CBT’ and ‘Casual’. These songs all exist perfectly alongside the more aggressive politically themed ‘Give Boys Pink Toys’. Regardless of whether she is discussing intimate truths over perfect harmonies or yelling messages of gender equality, Imbruglia doesn’t hold back. There’s no denying that after a long five years of radio silence, this album is definitely worth the wait. 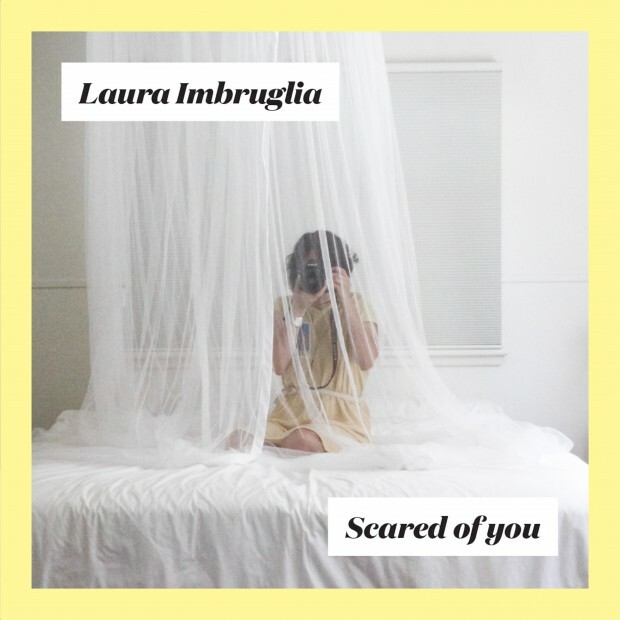 Stepping out on a nationwide tour in May, you can catch Laura Imbruglia and her band at the Gasometer, Collingwood 9th May and The Eastern, Ballarat 16th May. Judging by the raw emotion you can hear on this album, her live shows are not to be missed.